One of the most scenic water recreation areas in the “Valley of the Sun,”this northwest valley park is a recreationist's dream. The park offers many activities, such as camping, boating, fishing, swimming, hiking, picnicking, and wildlife viewing. At the Lake Pleasant Visitor Center, guests learn about the history of the area and desert wildlife. Step out onto the balcony surrounding the Visitor Center to get a beautiful view of Lake Pleasant and an up-close look at Waddell Dam. The breathtaking views offer visitors a great place to relax, whether it is from a boat or shoreline picnic site. Lake Pleasant Regional Park offers 148 sites for RV and tent camping. Each "Developed Site" has water, electricity, dump station, a covered ramada, a picnic table, a barbecue grill and fire ring. Each "Semi-developed Site" and tent site has a covered ramada, a picnic table, a barbecue grill and fire ring. Restroom and shower facilities are available at both types of campsites. All sites in the campground are available on a first-come, first-served basis. Campsite Panoramas - See each campsite at Desert Tortoise Campground. Click a campsite number below. 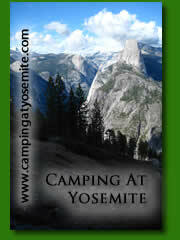 Roadrunner Campground and Picnic Area offers 72 sites for RV and tent camping. All sites are Developed. Large groups can reserve the Desert Tortoise Group Campground. The Group Campground includes a parking area for RVs, picnic tables, and ramadas. The use of this area is by reservation only and requires a commitment of 6 units. Lake Pleasant Regional Park also has shoreline/primitive camping during most of the year, depending on water levels. The Maricopa County Parks offer visitors the opportunity for star gazing throughout the park system. They even provide the telescope. You will view and learn about the moon, the planets, deep space objects like star clusters, nebulae and galaxies. Bring your own chairs and snacks. The whole family will enjoy the program. No pets allowed. These programs are conducted by Tony La Conte of Stargazing For Everyone. The cost for the program is only the $5 per vehicle park entry fee. From central Phoenix, take I-17 north to Carefree Highway (SR 74). Exit Carefree Hwy. and travel west 15 miles to Castle Hot Spring Road. 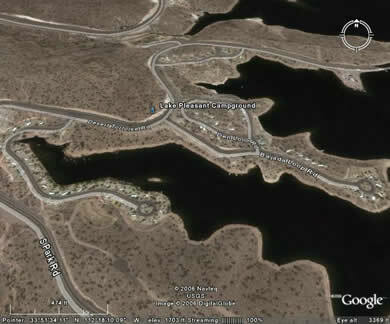 Travel north to Lake Pleasant Regional Park entrance.